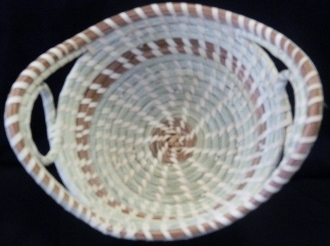 Bread Basket with loop handles. 9 inches in diameter. 8 inches tall.